Most of the following information was obtained and/or extracted from the book “History of Waupaca County, Wisconsin”, author: J. Wakefield and published by D. L. Stinchfield in 1890. The manuscript was found in PDF form on the internet within the archives of the United States Library of Congress. This information is provided here for historical and entertainment purposes, and the accuracy of this information cannot be verified. In Chapter XIV, J. Wakefield mentions that he has re-published the work of J. Holman, written in 1876, and that he presents this work as the history of the Town of Dayton. W.D. Emmons, F. Shoemaker, G.W. Stinemates, J. Stratton, J. Day, A. Potts and others. Many of the above names are still found within the greater Waupaca area. “For the first season or two provisions were not very plentiful. The settlers could supply themselves with venison and other game without going far from their clearings, but for flour, groceries, etc., they were obliged to go to Strong’s Landing, as Berlin was then called, and some of them went even to Sheboygan and Milwaukee for supplies. In the Fall of 1850 Mrs. Dayton was obliged to eke out her small supply of flour with an occasional dish of soup, which she made by chopping some corn in a bowl. About the same time, bread became very scarce at Van Horn’s. Mr. Van Horn, after putting up his log house, had gone with his team to Racine County, to work on a threshing machine, after which he was to return with a load of supplies. But before his return Mrs. Van Horn had got nearly to the bottom of the flour sack ; so she went to Mr. Hitchcock, on the Emmons place, to try to buy some buckwheat, of which he had about half an acre standing in the shock. He told her he was going to move away soon, and she could have the buckwheat if she could use it. The next day she took her carpet for a threshing floor, and some bags, and went down and carried the shocks together, and pounded them out with a stick, getting six bags of grain and chaff. With the first favorable breeze she winnowed out a half bushel of grain, and, taking it on foot to Mr. Dayton’s, ground it in their coffee mill, and sifted it in their sieve, leaving the bran for toll. But Dayton’s coffee mill soon gave way to the ‘Pepper Mill’, as Parfrey’s grist mill, built in 1851, was called. Parfrey’s grist mill was 16 x 20 feet, boarded up and down. The shafts were made of tamarack and oak, unhewn. The wobble of the machinery, occasioned by crooked shafts, was counteracted by tightening pulleys, weighted down with stones. The belts were made of bags, sewed together, and cotton factory cloth. It is well remembered that the first grinding in Parfrey’s mill was one Saturday afternoon. The next day Parfrey attended meeting at the house of Thomas Spencer. After the sermon, and before the benediction was fairly finished, Parfrey jumped to his feet, and, taking a handful of flour from the tail pocket of his coat, shouted at the top of his voice, ‘ Here’s a sample of my flour ! The water power at Parfreyville was staked out and claimed by Thomas Spencer in the Spring of 1850, and was by him given to Parfrey on condition that he should build a mill and grind a bushel of corn before the mill then being built at Waupaca (in 1851) should grind a kernel. Parfrey accomplished the task. Custom increased rapidly, and in 1855 Parfrey took a partner into the business, and built a large mill on the spot where the old one stood. But Parfrey’s partner and the hard times of 1857 were too much for him; so he sold his interest in the mill at Parfreyville, and built a small mill at the foot of Junction Lake. But, his financial embarrassment continuing, he disposed of his mill at Junction Lake, and left the country. In 1863 the mill at Parfreyville was thoroughly repaired by J. D. Kast, after which it did a large and paying business until Christmas, 1874, when it was burned to the ground. In the Spring of 1876 the high water, which was the highest ever known in this stream, destroyed the dam, leaving the water to flow in its old channel, and thus uncovering ground that had been under water since the summer of 1851. Parfrey’s house, the first built in Parfreyville, was 12 X 14 feet. It was built in March, 1851, by George Barnhart, while Parfrey was away after his family. It stood on the south side of the river, close by the two pine trees now standing on the bank. The pines were transplanted when very small, twenty three years ago. The road leading toward Crystal Lake now crosses the exact spot where the old house stood. The first frame house in town was built by J.H. Jones, early in 1851. It stood on the south side of the river, at the foot of Junction Lake. In the Fall and Winter of 1852, Jones built the house now owned by W. J. Chamberlain, in Rural. In 1856, Jones built the mill building now owned by J. and C. S. Ashman, but the machinery was not put in operation until 1862. In 1853 James A. Lathrop built a saw mill at Crystal River, which was operated until it had exhausted the pine that grew along the streams and lakes of Dayton and Farmington, and in the swamps of Lind. In 1867, Lathrop & Palmer built a carding mill on the spot where the saw mill stood. In 1855, Lathrop & Barnum built the grist mill now owned by E. Gruner. “The first post office in town was established in 1851. ‘Nepawan’ was the name, and L. Dayton was the first postmaster. In 1853, Nepawan post office was removed to Rural, and J. H. Jones was appointed postmaster. “The first public school in town was taught in 1852, by Miss Eunice Randall, now Mrs. W. S. Carr, in the Pleasant Valley neighborhood, in a shanty school house which stood on the farm now owned by R. Neilson. A private school was taught the same Summer (1852) by Miss Almira Dayton, in one room of J.H. Jones’ house, at Junction Lake. Miss Dayton’s way of noting the flight of time during school hours was by watching the shadow of the sash upon the window sill, which she had marked off for the different hours of the day. The first frame school house was built at Pleasant Valley, in 1854. It is still in use. It then stood a little west from where E. M. Sawyer now lives. In the Summer of 1853, Miss Eunice Randall taught the first school in the Crystal Lake neighborhood, in the log house of Mr. Simcock. The house still stands on the farm now owned by T.F. Fuller. The first school house at Rural was the small house now occupied by William Nickel. One of the first who taught in it was Miss Ellen Jane Jones, now Mrs. J. Ashman. The first school at Parfreyville was taught in the Summer of 1854, by Miss Jane Lathrop, in a shanty on the lot where the school house now stands. W. S. Carr taught in the same shanty in the Winter of 1855-56. The school house now in use was built by W. C. Barlow in the Fall of 1856. At the present time there are eight school houses in town. The first preaching in town was by a Methodist minister by the name of Miller, and by the Rev. Cutting Marsh, Indian missionary at Waupaca. Rev. Samuel Simcock also preached during 1852 and for three years thereafter. John Martin, Jr., preached occasionally at Pleasant Valley, in the house of T. F. Thompson. The first funeral in town was that of a child of Joseph Robbins, Section 24, in August, 1850. The first adult person who died in the town was the wife of Robert Parfrey, in March, 1851. The first white child born in the town was Calvin Morgan, son of Thomas and Fanny Morgan, and grandson of L. Dayton, in February, 1851. The first marriage ceremony in town was performed by J. H. Jones, Justice of the Peace. The parties were James McCrossen and Miss Cornelia A. Jones. The first public highway in town was a State road from Weyauwega, in the direction of Stevens Point. It crossed the farm now owned by C. Sheldon, and passed on westward by Dayton’s place.  The first bridge was built near Dayton’s. The road from the west, through Rural, Parfreyville, and Crystal River, was laid out in 1852. The remains of the first bridge at Parfreyville can yet be seen, just above the present bridge. Before the bridge was built, the river was forded a few rods farther north, at the place where C. M. Jones’ wagon shop now stands. The first blacksmith in town was William Caley. He had a small shop in 1851 and 1852, about thirty rods north of the bridge, at Parfreyville, on the north bank of the river, where the house of S. H. Conklin now stands. The blacksmith shop now in use at Parfreyville was built by R. Holman in 1854, and is the oldest building now standing. In 1852, N. P. Judson kept a small supply of groceries, etc., in a shanty on the south side of the river, about one hundred rods west from Parfrey’s. He soon moved to Waupaca. In January, 1855, S. W. Hoyt opened a store in the wing of R. Holman’s house. L. J. Hebard was Hoyt’s clerk. ‘The total value of all property in town at the first assessment, in 1853, was $9,630.75. Taxes for that year were as follows : State tax, $57.59 ; County tax, $78.89; County school tax, $25; Town tax, $70; total, $231.68. The town tax included $35 voted to pay indebtedness incurred in 1852, while connected with Lind.’ J. Holman. In 1853, W. C. Carr planted the first apple tree. He raised fruit about ten years later. The first winter after Mr. Carr built his house, which was 18 x 24 feet, he had to accommodate, for several weeks, four families besides his own; people who had made claims and were waiting to put up cabins. Besides that, he was continually keeping travelers who were looking for land. That is the way many of our old pioneers were forced to spend a few of the first years in this then wild region; and we are fain to believe that the majority of them really enjoyed life with a zest unknown after a country becomes settled and improved. At least, such is our experience, and we often hear the same sentiment expressed by others who have had pioneer experiences. Waupaca County was organized by legislative act, approved February 17, 1851. The first meeting of the Waupaca County board was held on May 6th, 1851 at the home of H. Rolph, in the village of Mukwa which was then considered the county seat. The Town of Dayton was formed shortly thereafter, at a county board meeting on December 7, 1852 when Township 21, Range 11 was taken from the Town of Lind and made a separate town called Dayton. Constables—Edwin Packard, George Bamhart, and William J. Chamberlain. Town meetings were held alternately at Rural and Parfreyville. Lyman Dayton was, at that time, an elected member of the Waupaca County board. At the annual meeting of the County Board in November, 1861, the county was divided into three supervisory districts with the Town of Dayton joining Farmington, Waupaca, Scandinavia, St. Lawrence, Waupaca and Lind as the first supervisory district.